Apocalyptic Afro, chilling chuggers, claustrophobic clanking, creepy Kosmische, demonic Disco, subjected to doom-inducing delay. Giallo guitar, a House of horrors, icy-fingered Industrial, Jack(ing) The Ripper. Jugular Jazz, Library lunacy, lycanthrope laughter and petrifying Proto. Psycho Psyche, sinister strangers in the shadows of the city. Slaughterhouse Sleaze and Soul sacrifices. Synth-pop screamers, terrifying Tribal, vampiric Voodoo, and witchdoctor warnings. The thing about Joel & Gerry is that they really know how to play a tune that captures the imagination. For the head and the feet. 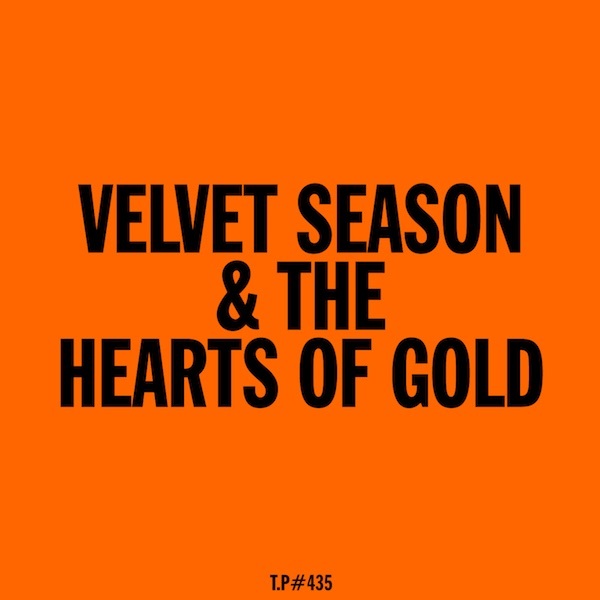 Ladies & Gentleman for the delectation of the Halloween witching hour, we present Velvet Season & The Hearts Of Gold, “Under Your Spell”. The children of the night. Listen, such sweet music they make.